Overall, the 2016/17 season has been a stagnant campaign for Wolves, despite having some high points including their recent impressive run and the FA Cup win over Liverpool. Those moments are few and far between, however, with the Midlands outfit currently sitting in the lower half of the Championship table. The club looks a long way from the side that was competing in the Premier League five years ago. Paul Lambert has righted the ship to put rest to any thought that Wolves were sliding towards another relegation to League One – following Walter Zenga’s early struggles – but progress needs to be made towards the end of the season to ensure that the team take momentum into next term. Fosun International’s takeover at the end of last summer promised a new revolution at Molineux, and although their first year in power has not been as successful as they would have hoped, their five-match winning run has given hope for the future. A victory in their clash with league leaders Brighton & Hove Albion would send out a strong signal, with Lambert’s men backed in the latest Championship betting odds at 11/5 to pull off the victory at Molineux on Good Friday. Wolves will need their best players to shine against the top unit in the division. 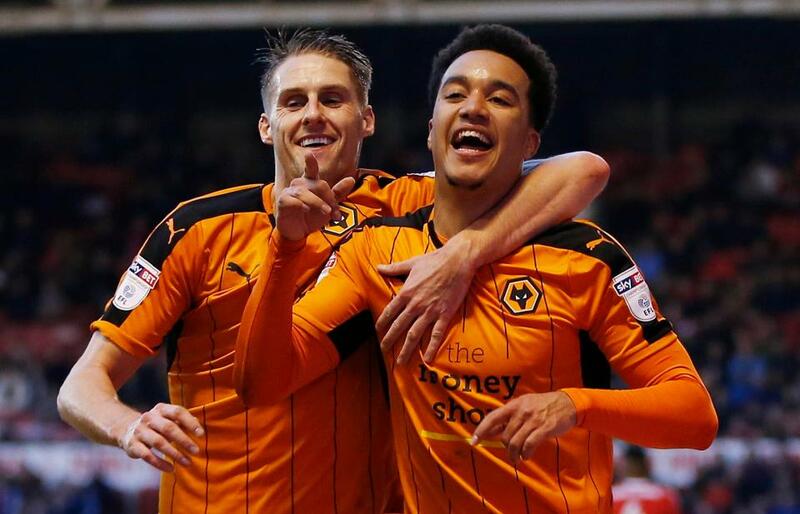 Helder Costa has proven to be the man for the big occasion and he will have another opportunity to showcase his talent. The 23-year-old signed on loan from Benfica at the start of the campaign, with Wolves using their connection with agent Jorge Mendes to complete the deal. His pace and skill have electrified the team at times this term, and he's had few problems adjusting to the physicality of the Championship. Costa's finest moment of the season came against Liverpool in the fourth round of the FA Cup at Anfield. The Portuguese winger put the Reds to the sword with a dazzling outing, putting their backline under immense pressure throughout the contest to help his side advance. He had previously played a vital role in guiding Wolves past Stoke City, scoring the opener in their third-round win, while the Portugal Under-21 international was one of the brightest players on the pitch in their defeat to Chelsea at Molineux. Costa has scored ten goals in the Championship this season and his early performances convinced the club’s hierarchy to break their transfer record to secure his signature on a permanent basis in January. Signing the 23-year-old to a long-term deal was a statement of intent from the club, but his performances, especially those against quality Premier League outfits, will attract attention not just from England’s top flight, but from teams around Europe. The resolve of the owners will likely be tested over the summer, with main director Jeff Shi already confirming that it would be hard to turn down a lucrative offer. However, for Wolves to make it back to the top flight, they have to ensure they keep players of Costa’s calibre for as long as possible. Even securing a significant fee would be no guarantee of securing players of similar quality in the surrounding areas of the side. As a result, it’s in Wolves' best interests now to allow the Portugal Under-21 international to be their spearhead for the 2017/18 campaign.